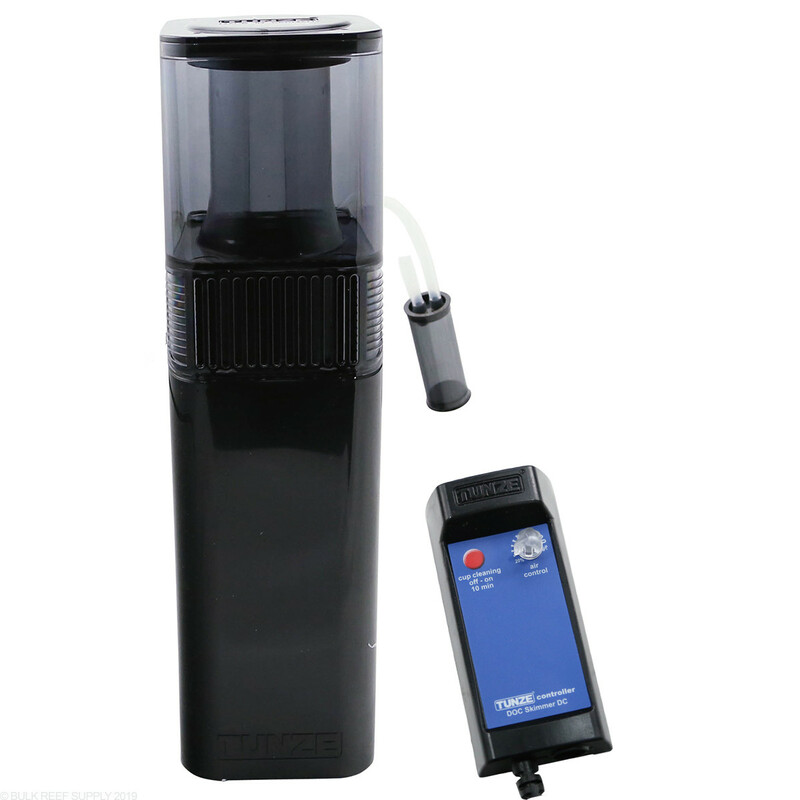 The 9012 DC Skimmer now includes a DC powered pump and controller for ultimate control and tuning ability. 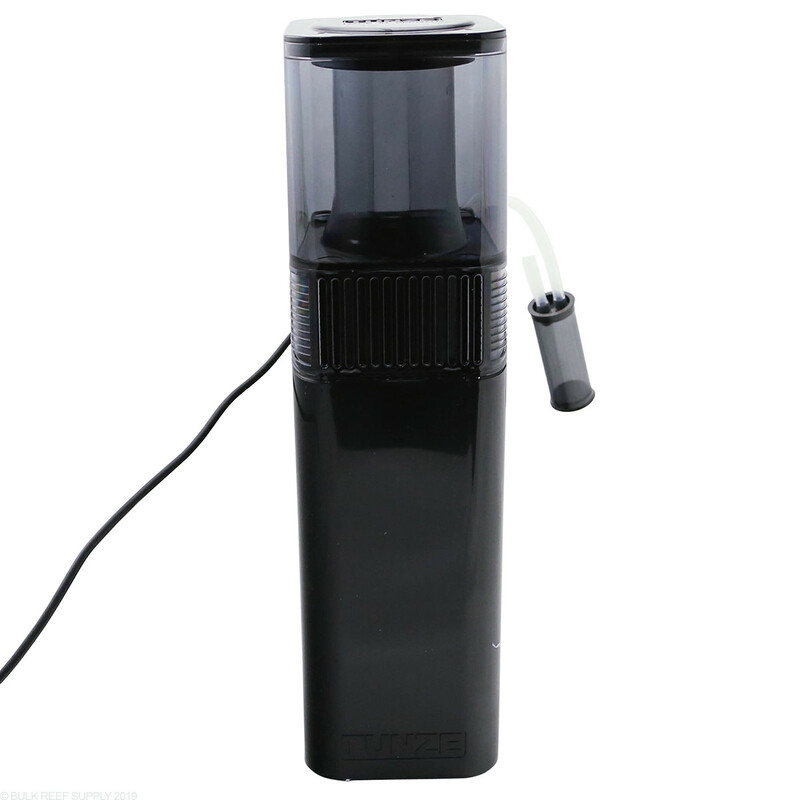 The skimmer throughs bubbles into the tank, Magnets do not hold well plus design is bad, impossible to get it higher if you have an upper frame in the aquarium tank. Plus, no skimming at all, only bubbles all over the tank. Two weeks trieng to adjust and nothing! Today’s markets are very competitve. 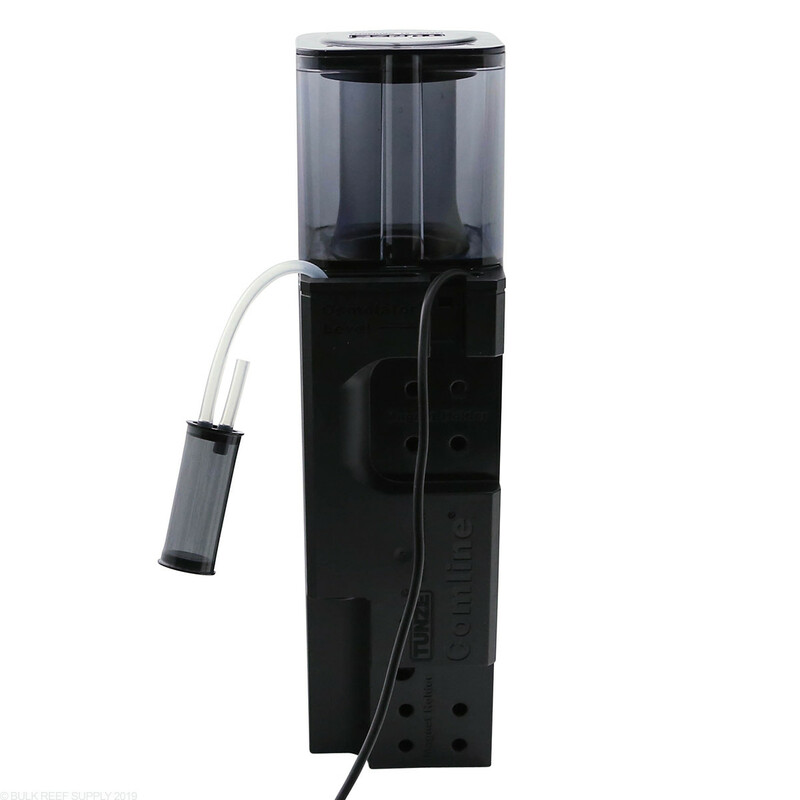 There are many skimmers which work great but some take that little extra effort. 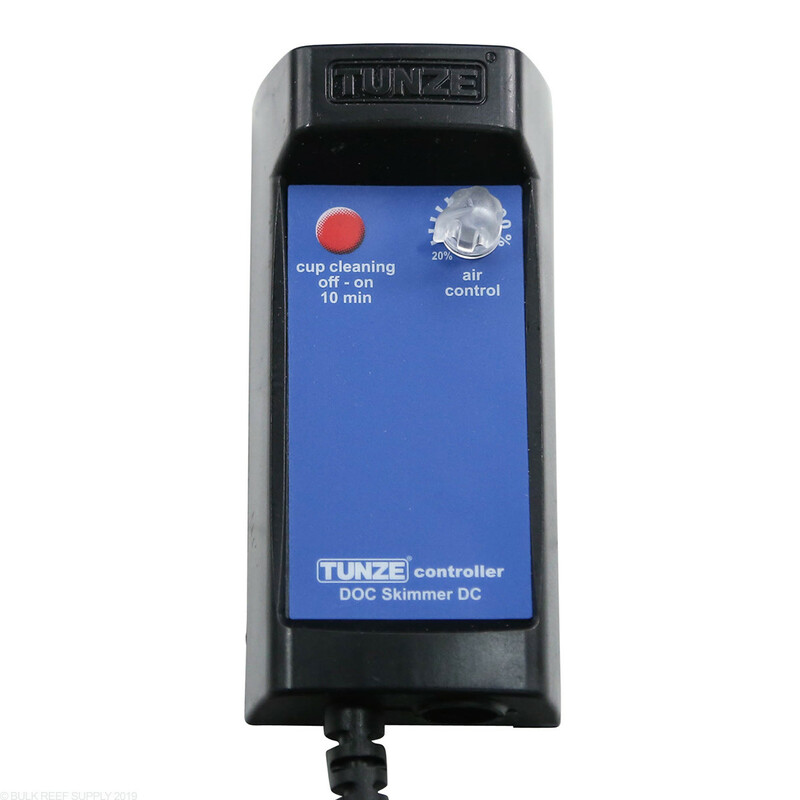 Tunze has some of the lowest energy consumption devices, Lowest decibels, and great quality control. The 9012 DC is very expensive but worth it. Truly plug and play with set and forget features. Small size in the tank that skims the surface vs sump skimmers that have a mix of water. This is in a small 40 gallon hex right next to my family TV. 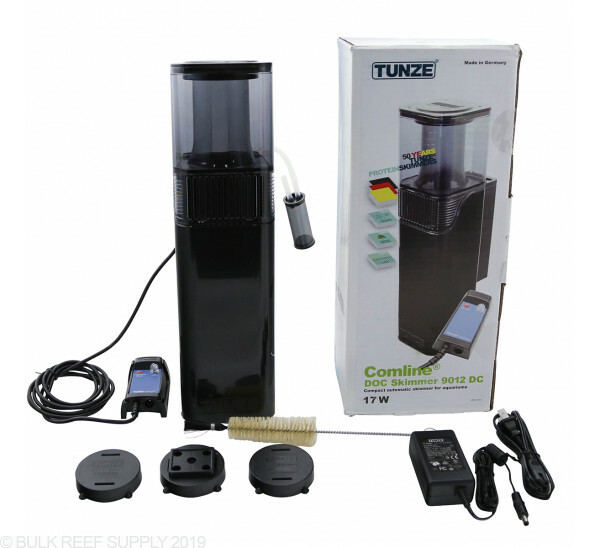 I have owned many skimmers with much larger skimmers in my 150 gallon but Tunze is winning me over. The easiest skimmers out there. Just plug and play for the most part. I have the 9004 and the 9012 which are the masters of perfection for in tank installation. So happy with my recent purchase of my 9012 as it is so quiet in my family room. Set it and forget it! Got this to replace the large IM skimmer in my SR-80 a few weeks ago. It immediately started skimming and was super quiet. 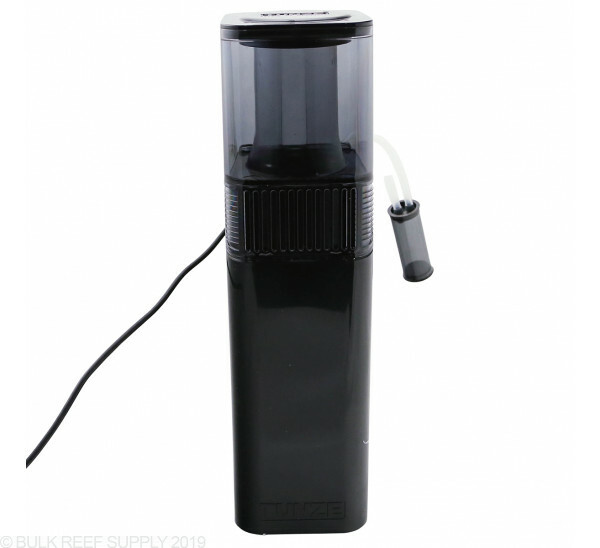 Highly recommend for the larger SR Innovative Marine tanks. 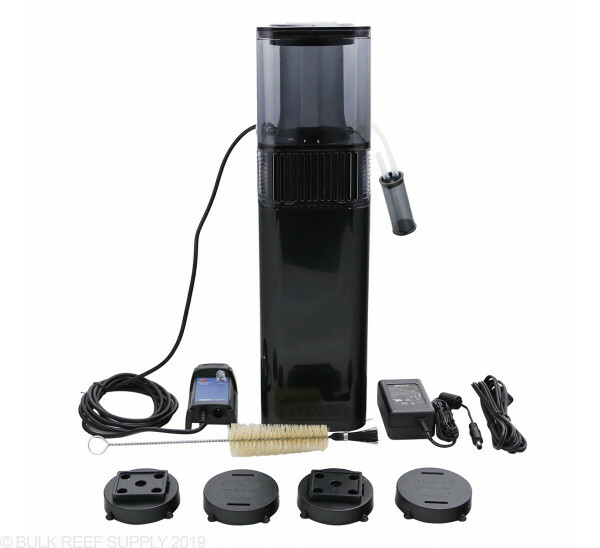 I am using this skimmer on a 100 g All - In - One Style Tank, the fact that it only takes up 5" x 6" is fantastic. I recommend paying the extra money and getting the DC model. 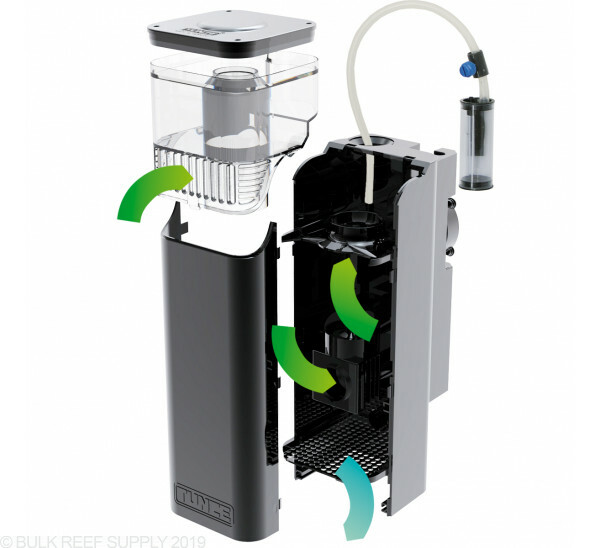 The DC Model essentially lets you control the pump, which makes controlling the skimmer extremely simple. 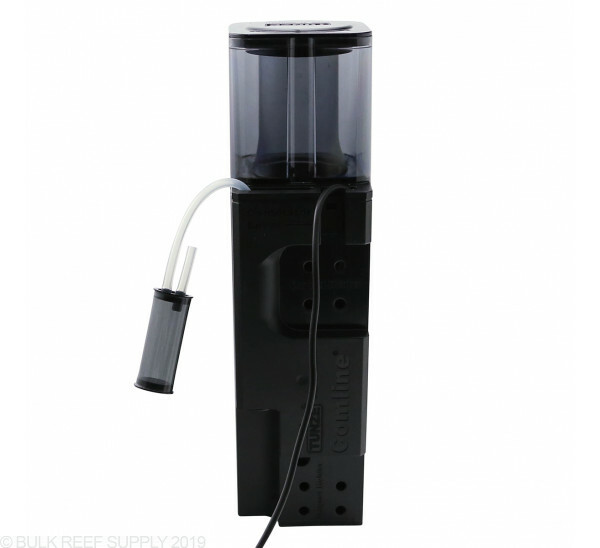 This skimmer is truly plug in play. It is doing a fantastic job and I could not be more happier. 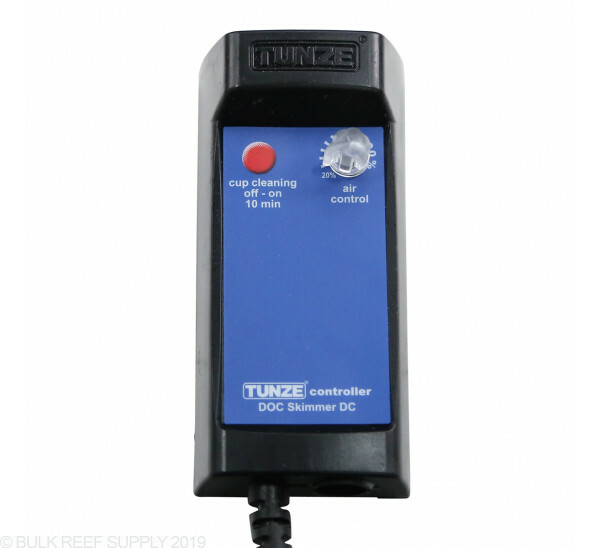 Which one of these skimmers from TUNZE may fit a IM Lagoon 50? Yep, the magnets are submersible. 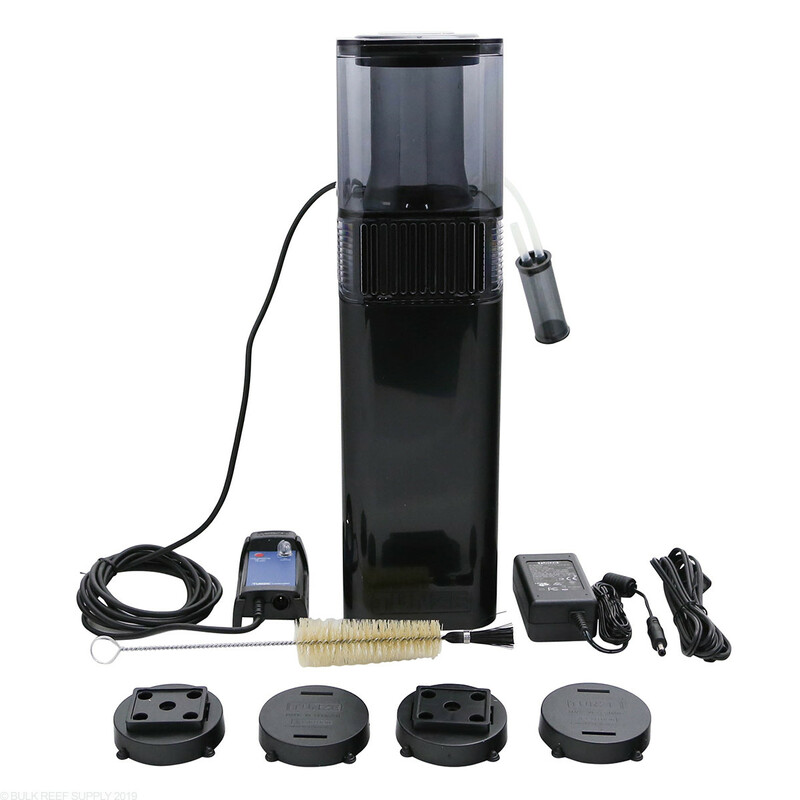 Hi- can this skimmer go in a sump? 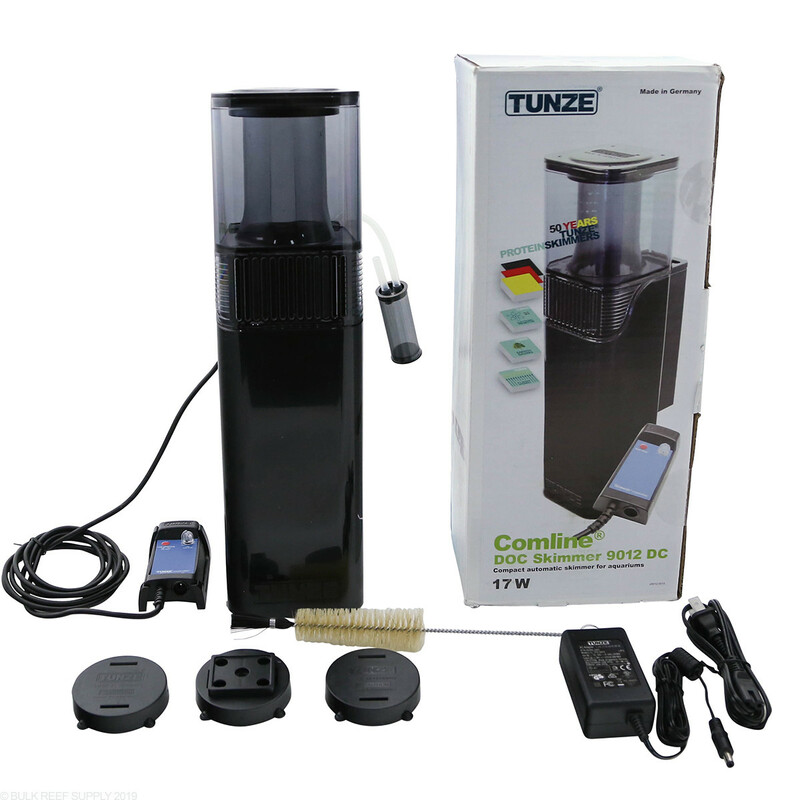 Hi Melissa, The Tunze 9012 Skimmers can be placed in a sump. 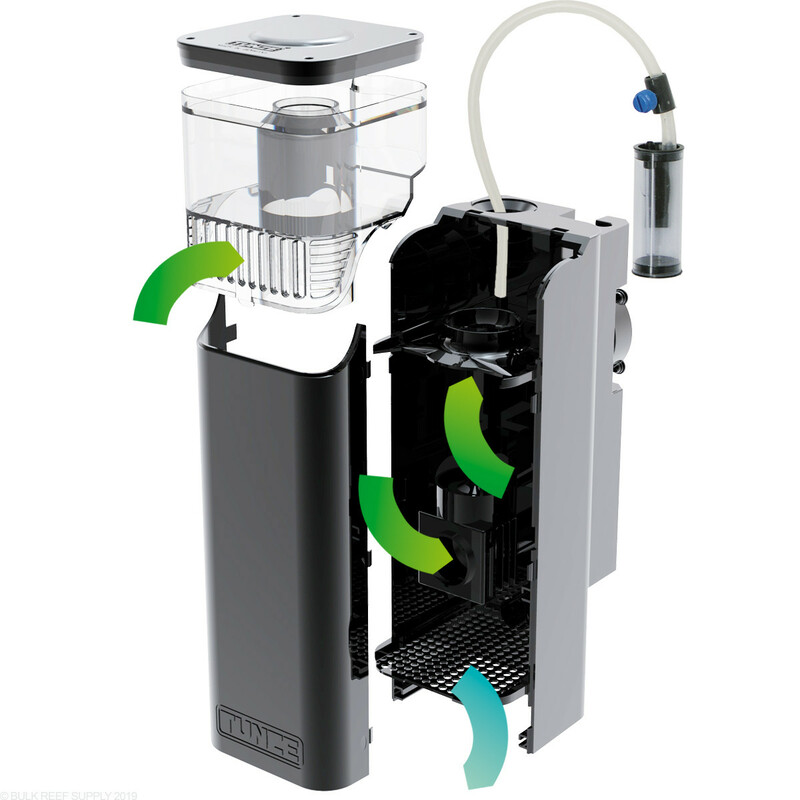 You will need to mount it close to the glass/acrylic in the sump so that the magnet can hold the skimmer at the proper water level.